We are getting ready for Halloween in our house. 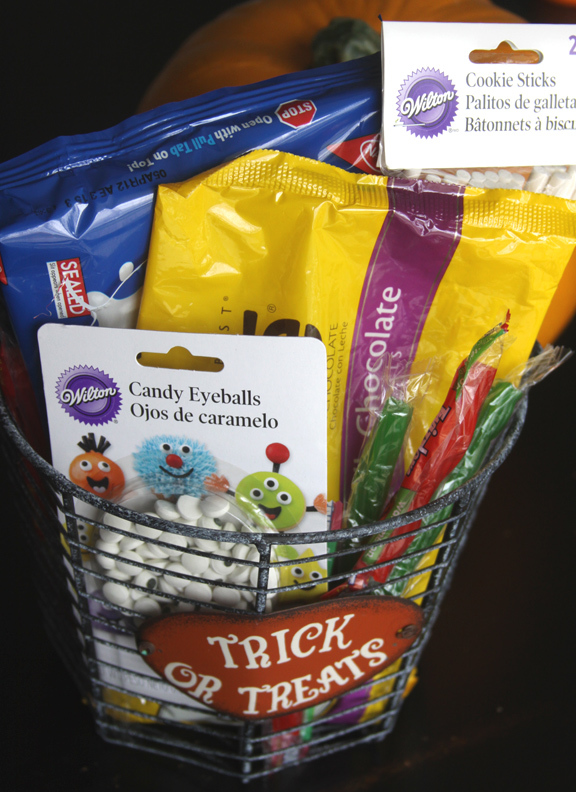 What is Halloween without some tasty treats to share with your family and friends. 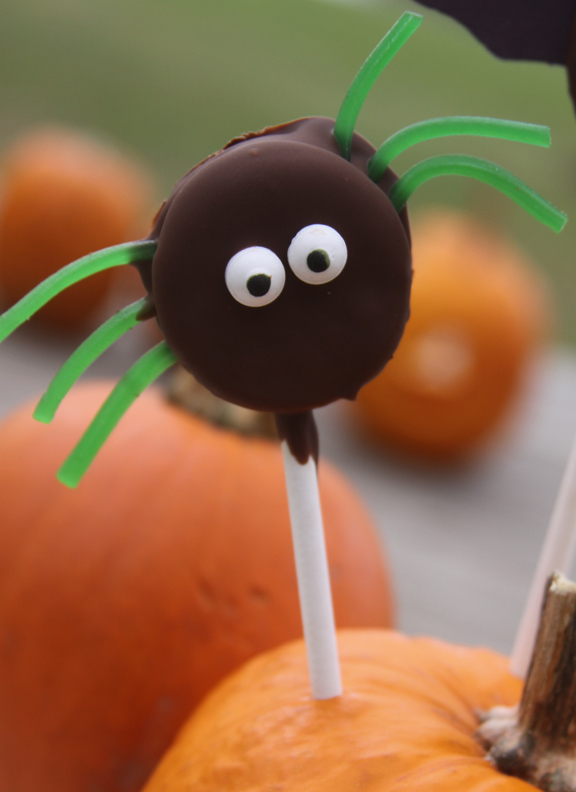 These adorable spider and bat pops are made by covering Oreo cookies in chocolate. Yum! The kids and I are getting all geared up this week. 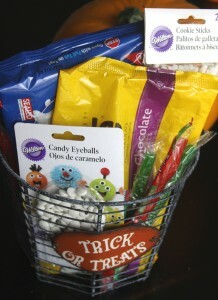 We have three Halloween Parties coming up this weekend and the kids are just buzzing with excitement. Last night we carved pumpkins and ate pumpkin shaped pizzas and eyeball pizza muffins for dinner. Just a fun little night in our house, I think I enjoy it more than the kids do. Thursday night the Great Pumpkin Charlie Brown is airing on TV. It has been a tradition for us to invite the grandparents over to watch it with us and have a few treats. We for-go a normal dinner and have a big old batch of fresh homemade Chex Party mix while we enjoy a classic Halloween cartoon together. We will also make some pumpkin dip and veggie pizza, I think. 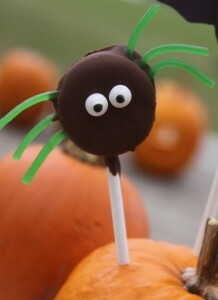 The most exciting thing on the menu is our spooky spider and bat pops! Yesterday we made these spooky little treats to share during our Great Pumpkin Party! 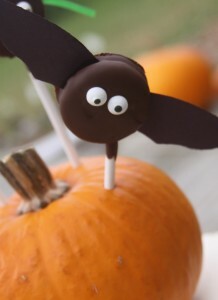 I used a skewers to put holes into a little pumpkin so that I could display our awesome little bats and spiders pops for the party. Using the skewers allowed me to be able to just slide the sticks right into the pumpkin. I cut the sticks at a few different lengths so that they were all at different levels. 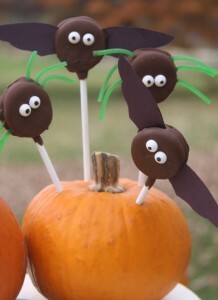 I found these adorable spider and bat pops on The Idea Room blog. Head over to her blog to see her tutorial on how to make these yummy little treats. She has all sorts of great ideas for cute Oreo pops that your kids will go crazy for. I found the Wilton Candy eyeballs at Walmart. They are just too cute. I know I will be using these for all sorts of treats now that I have found them. These were so fun for the kids to decorate. My two year old giggled with delight after putting the little eyeballs on and wrapped her little chocolate covered hands around my neck because she was so pleased with her spiders and bats. The rest of the steps were a little difficult for the kids to help with because these are a bit fragile until they cool. They were pleased to just put on the little eyes and watch the legs go on – I suppose it helps that they were distracted and eating my cookie decorations! 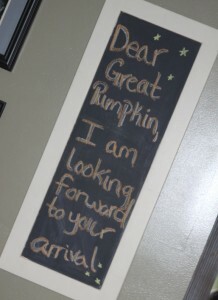 Hope you and your family are enjoying the Pre-Halloween preparations as much as we are!